Crown Publishing Group (NY), 9780385348935, 358pp. "Stevens excels at depicting pulse-pounding danger... Her writing places her heads above most authors working in the thriller genre. Only Dan Brown and Lee Child come close." --"Dallas Morning News"
Vanessa Michael Munroe, chameleon and information hunter, has a reputation for getting things done--often dangerous and not quite legal things. With blood on her hands and a soul stained with guilt, Munroe has fled to Djibouti, Africa. There, with no responsibility except a gig at a small maritime security company, Munroe finds stillness--until she's pressured to work as an armed guard on a ship bound for Kenya. On board, Munroe discovers the contract is merely cover for gunrunning; when the ship is invaded off the Somali coast, she fights her way out--dragging the unconscious captain with her. But nothing about the hijacking is what it seems. The pirates had come for the captain, and continuing their pursuit, they unwittingly raise the killer's instinct Munroe has tried so hard to bury. Wounded and on the run, Vanessa Michael Munroe will use the life of her catch as bait and bartering chip to manipulate every player, and wash her conscience clean. 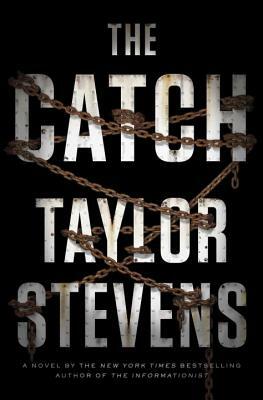 TAYLOR STEVENS is the award-winning New York Times bestselling author of The Informationist, The Innocent and The Doll. Featuring Vanessa Michael Munroe, the series has received critical acclaim and the books are published in twenty languages. The Informationist has been optioned for film by James Cameron's production company, Lightstorm Entertainment. Born in New York State, and into the Children of God, raised in communes across the globe and denied an education beyond sixth grade, Stevens was in her twenties when she broke free to follow hope and a vague idea of what possibilities lay beyond. She now lives in Texas, and is at work on the next Munroe novel.